When a house is in good condition, it usually takes about three weeks to sell to a new owner. That’s great news if your house is well-maintained and looks pristine. But what if your home is a bit run down and shows its age? For most people, this means listing your home well below what you feel it’s worth. And that’s not something you can afford to do. But you don’t have to. With a little preparation, you’ll be able to sell your rundown property quickly without sacrificing your chance of making a profit. Sound good? Well, read on! 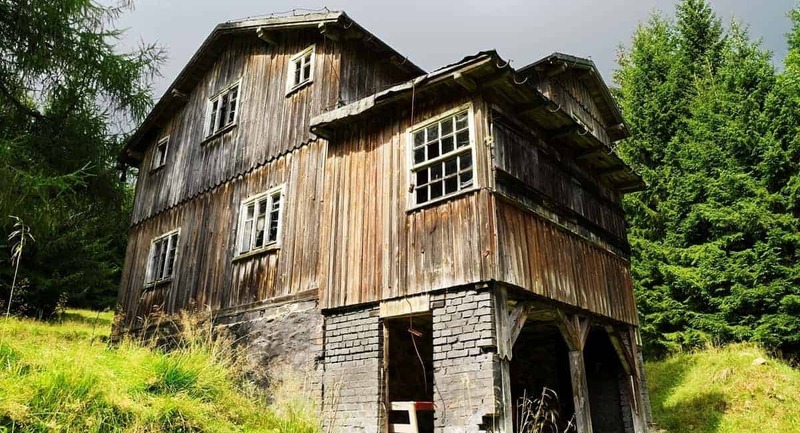 In this guide, we’ll go over a few simple tips that make selling a house in poor condition as simple and cash positive as possible. Before you put the house on the market or advertise your property, you’ll want to get an idea of what it’s worth. The best way to go about this is to schedule a home inspection and property evaluation. The inspector will look at the condition of the house, the trends in the neighborhood, and the value of the land itself. With this information, they’ll give you a value for the entire property as-is. This number is what you can expect to list the property at. Any higher and you’ll have a hard time attracting buyers. Keep in mind that this number may be lower than you’d like. But if you’re selling a house in bad condition, you should prepare yourself to take a hit on the price. Think about why your home is in bad shape. Is the structure damaged beyond repair, or does it only look outdated and run down? If most of the damage is cosmetic, consider making a few basic improvements. Painting the exterior and hiring a landscaping crew to clean up the yard can make a huge difference. But if you’re trying to sell a teardown house, repairs may not be in your best interest. Pay attention to what the home inspector says and see if the profits you’d make selling a fixed-up property exceed the cost of the repairs. Just because your house has gotten fliers from people who buy ugly houses doesn’t mean it has to look the part. Take the time to clean up the property. Get rid of any junk and trash sitting in the yard. This helps prospective buyers better assess the property itself. Inside, consider hauling away any broken appliances and belongings you don’t want to keep. If the structure is usable, you want prospective buyers to be able to see the house itself. The cleaner it looks, the more attractive even a teardown house will be. The last thing you want to do is market your home inaccurately. If it’s rundown or needs to get torn down, buyers need to know. Be honest about the condition of the house when writing ads or posting online. Specify that the property is for sale as-is and let buyers make their own decisions. But be cautious about what you say. Even if the house is a total teardown, consider advertising it as an “as-is” property. This way, you’ll attract more potential buyers than you would by listing it as a teardown only. The number of people looking to invest in raw land to build a custom home is lower than those looking for a house they can remodel. But once they see the property, they might change their minds! Realtors charge a commission for their services. And most sellers can expect to pay about six percent commission once the home sells. And when you’re selling a house in bad condition, those fees can take a huge chunk out of your profits. Instead of selling the house the traditional way, try going straight to the people who will turn the property into a beautiful home: contractors and builders. Often, builders have a list of clients looking for property to build on. They might be able to match you with a buyer faster than a real estate agent would. Best of all, they won’t charge you a commission on the sale. Remember, the sooner their client finds a piece of land, the sooner they get paid to build the home. It’s a win-win for both of you. By cutting out the middle-man (the real estate agent), you’ll keep more of the money you make on the sale. Just because you can’t salvage the house doesn’t mean the items inside have to go to the dump. Take a look at the appliances, furnishings, and decorations inside. You can sell the ones that are in good condition to increase your profits. Even better, if you can sell still usable appliances and large items, you’ll make the property more attractive to prospective buyers. Before demolitions starts, old appliances and furniture have to get hauled away and disposed of. This costs money and if those items are already removed from the property, you’ll save buyers the expense. This can increase the amount you get for the property. Believe it or not, there are people who specialize in buying rundown and ugly houses. And they pay cash to do it! If you’re in a hurry and need out of your house as soon as possible, work with a cash buyer. They know that the house won’t be move-in ready and will offer you a fair price for the building. As an added bonus, you’ll keep the full amount they pay less any taxes you owe at the end of the year. Still not sure if this is the right option for your needs? Click here for more information. It’s easier to sell a house when it’s move-in ready. But that doesn’t mean selling a house in poor condition is impossible. You just have to think outside the box. Use these tips to make the most on your sale. Looking for more helpful tips on getting your house ready for the market? Check out our latest posts and take the stress out of selling your home.